This is a pair of gorgeous chandelier earrings! boho chic style they are set in infinity frames and inside there is a little rainbow druzy ball which sparkles where the druzy is exposed! 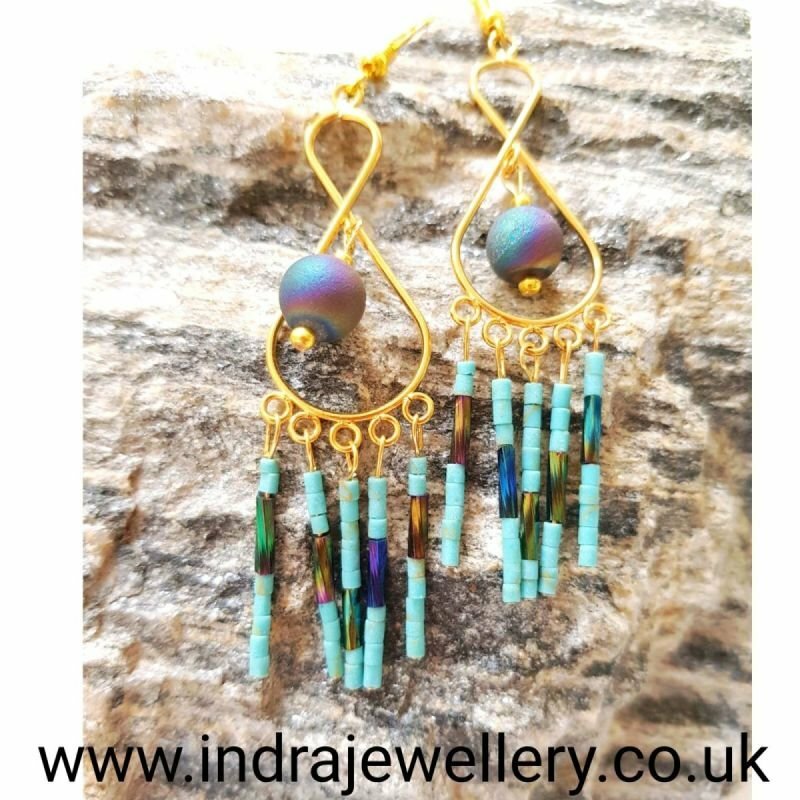 the strands are made from little turquoise beads and there are rainbow tube beads added to each strand to give this fabulous finish!